AFP2Image Transform Server enables users to batch convert AFP documents IBM MO:DCA (AFP, IOCA and PTOCA) to images in various formats, such as JPEG, JPG, PNG, BMP, GIF, PCX, TIF, TIFF, FAX, PSD, via hot folder on Microsoft Windows. The software monitors the input folder for incoming AFP file and output the images to a specified folder. 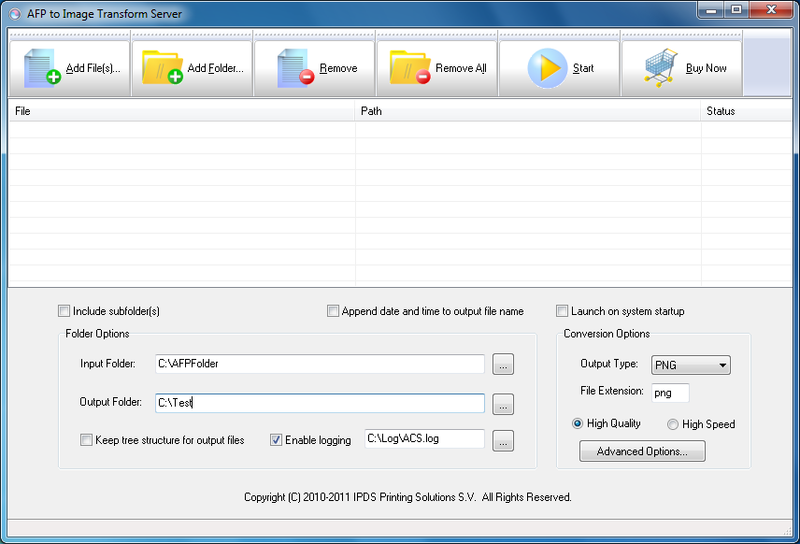 The software supports multi-user server environment for Microsoft Windows Server, Citrix Server, Web Server etc.